The decision by PNGNRL to ban the Mt. Hagen Eagles from the Digicel Cup Competition has been made; however, the team will appeal against the decision. 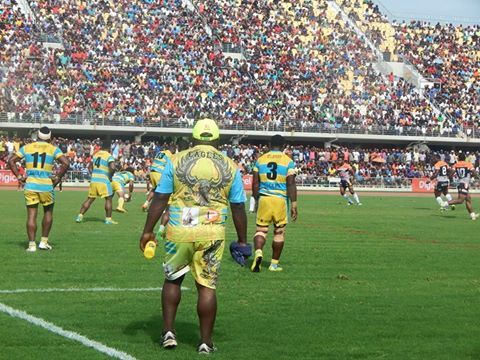 This was made known by the rugby club’s Board Chairman Mr. Bob Pakindi in an interview today. Pakindi said they will be making an appeal, but at this stage he will not be disclosing the grounds the appeal will be made on until after a meeting with the team’s Board and Management at the end of the week. The PNGNRL Board Administrator Mr. Stanley Hondina also confirmed that the team will be appealing. “The Eagles indicated to make an appeal against decision the Board made last Friday. The appeal will be made within 14 days,” said Mr. Hondina. The Mt. 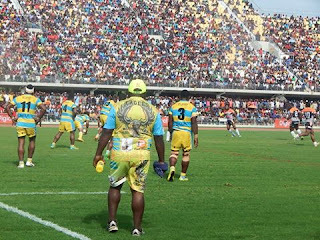 Hagen Eagles team was slapped with the severer penalty after it was found through a review of the semi- final match footage against the Agmark Rabaul Gurias to have instigated spectator violence towards the end of the match that resulted in referees injured and facilities damaged. The penalty included the team forfeiting its third place prize money of K20, 000 to cover the cost of damages, a training assistant banned for life from Digicel Cup matches and two players given 10 years suspension each from the competition.